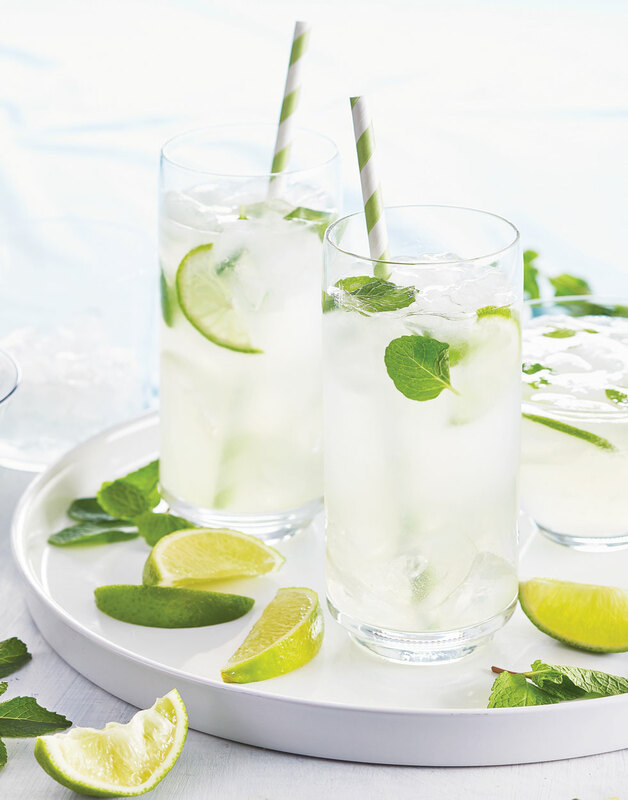 These classic mojitos don't deviate from the simple recipe that made them a staple summer spirit, and they don't need to. Our take on the classic Cuban cocktail perfectly balances smooth rum, tangy lime, and sharp mint. Taking only 5 minutes to make, our classic mojitos are the perfect companion to any summer gathering. With a mojito in hand, you can bring the island right into your kitchen. Muddle chopped mint with sugar in a pitcher. Add rum and lime juice; stir to dissolve sugar. Strain mojitos into tall glasses. Add ice to each drink; top with club soda. Garnish drinks with mint sprigs and lime slices. After straining rum mixture into glasses, add ice and 4–6 ounces of club soda to each glass.